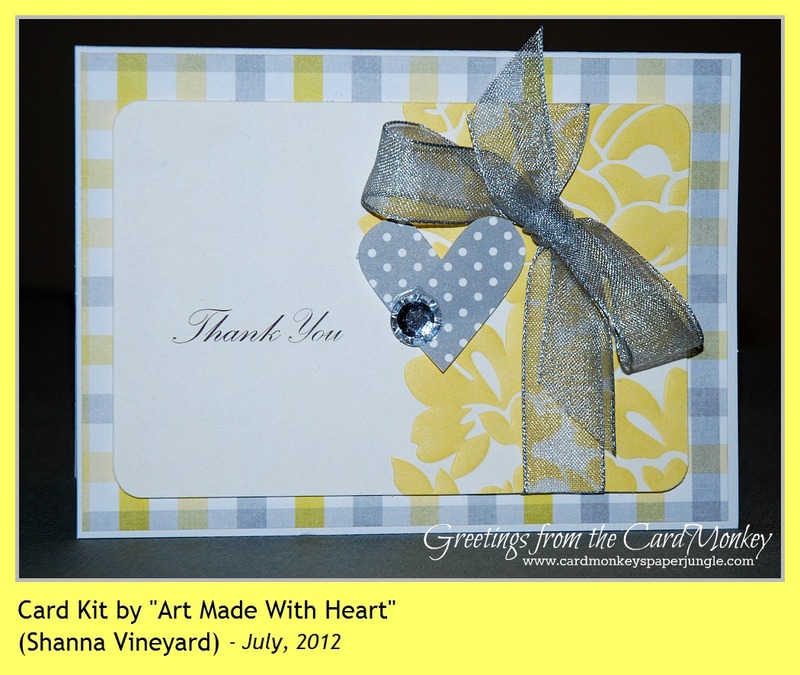 As promised, I'm baaaack ... posting a picture of another card I made quickly using a card kit by Shanna Vineyard of "Art Made With Heart." Info on this card kit is available by clicking HERE. I am thinking about doing a comparative review of the various card kits available for subscription. Would this be of interest to you? I would find these reviews quite interesting. I have avoided purchasing any subscription because I don't know exactly what to expect. I love your blog Ellen! Thanks for finding me and I can't wait to talk more! Hopefully you can teach me a thing or two about Copics!